Speaking when he received in audience, the General Officer Commanding (GOC) the 82 Division of the Nigerian Army, Major General Emmanuel Kabuk, who paid him a courtesy visit in Calabar, Governor Ayade challenged security agencies in the country to arrest and prosecute any person caught; including any member of his government that is involve or known to be aiding and abetting cultism. He decried the extent to which cultism has become an issue of concern in the state particularly with the season of political activities, saying “It’s so bad that even in simple civil issues, you still find cultism rearing it head”. The Governor listed boundary and communal conflicts alongside cultism as some of the security challenges facing the state. Governor Ayade acknowledged that “even though it falls under the duty of the Police; it is a welfare and a security issue as well, so if it’s a security issue you should not be limited. 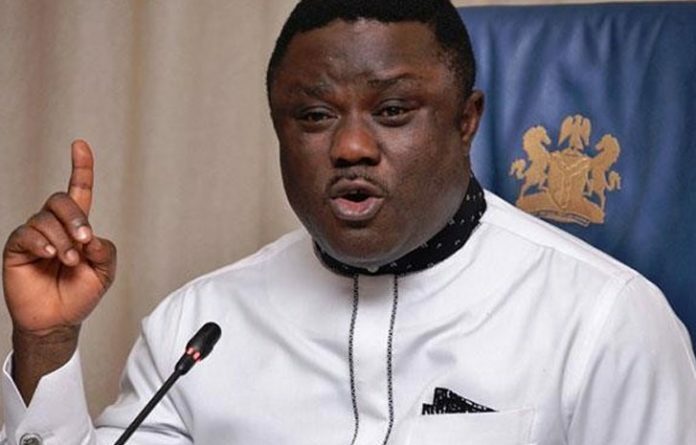 On border conflicts within the state, Governor Ayade said, “Cross River State is in perpetual conflicts; having over 22 maritime illegal boundaries and migration routes with the Cameroon. “I want to send as a special message to the Federal Government that a special fund be set aside as security vote monthly for states, particularly states with international borders and crisis”. Governor Ayade commended the cooperation his government has been receiving from the 82 Division and also declared that he “belongs to the school of thoughts that allow a selective deployment of the Nigerian Army, when the welfare, security and wellbeing of the people are highly threatened”. In his address earlier, the GOC, 82 Division, Major Gen. Kabuk told the governor that his visit was part of the tour of his operation base following his recent posting to head the division with headquarters in Enugu. He pledged that with the level of professionalism and discipline which the Chief of Army Staff has brought into the Nigerian Army, they will ensure that peace and security are maintained within the division and criminal elements who do not want the peace of others in the country will be dealt with.